The two categories into which most of her creations fall—intimate shows for her own company and large-scale guest premieres—have proven to be mutually beneficial. Kidd Pivot, founded in 2002 in her native British Columbia, is a "long-term relationship," she says, with a small cohort of trusted partners. One of those is director-playwright Jonathon Young, with whom she has deepened the narrative, theatrical and character-driven aspects of her work. (Revisor, their second collaboration, premieres in early 2019.) Meanwhile, Pite experiments with elaborate stagecraft through high-profile commissions from major companies, sometimes with casts of three dozen dancers or more, introducing her work to new audiences worldwide. No matter what she's creating, she's prone to coaching her material by explaining its physics or how it should employ specific parts of the body. Yet even her straightforward notes ring with a keen sense of the poetic. "See if you can fight for that moment," she told dancers in rehearsal for Flight Pattern, her 2017 premiere for The Royal Ballet. It was at once just encouragement about a simple step and a reminder of every artist's lifelong test. 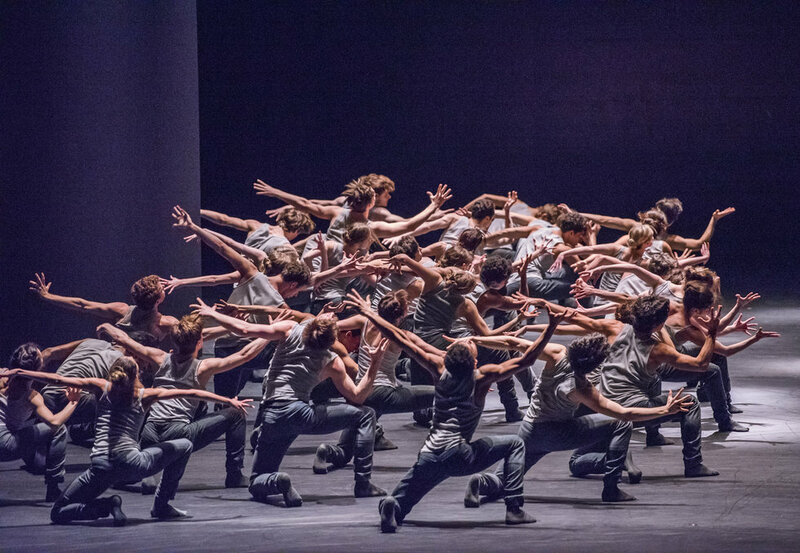 Another observation, given to the same group within minutes—"Because of that tension, your head has no choice but to change"—spoke not only to the physical logic of Pite's choreography, but also to the shifts in our perspectives prompted by extreme circumstances. In conversation, Pite can slide effortlessly from one idea into its opposite, not unlike how torsion and oppositional force provide equilibrium within her movement. "I've been interested lately in old-school truths of choreography," she says. "Shifts in scale, unison, canon, entrances and exits, and so on. I've been enjoying thinking of the need for traditional ways, and also the need to subvert them. It's good to push against the conventions that you know, against the things that are familiar."